Custom aligning an image that has been resized to fit within the cut file is currently very time consuming using the "texture offset" adjustment option. At the least, previewing the changes in real time would be helpful. Maybe a Preview option (checkbox?) 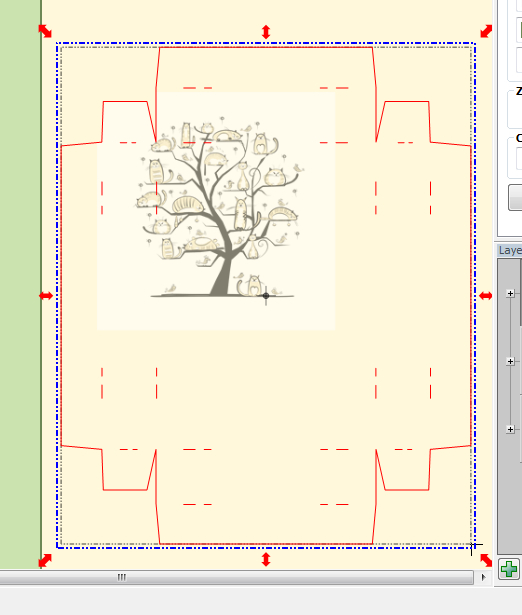 that updates the mat to correspond to the adjustments being made with the "offset" option... Up/down increments rather than having to enter in actual measurements could make this easier as well; moving in inches or mm. Then once "OK" is clicked, the adjustments stick and can be saved to the file the usual way. @sberg_IA - I am quite sure this has been requested already (perhaps even several times)...just so you know as a bit of a background, Make The Cut! started out as a small program to allow the developers wife to use the fonts on her computer with a Cricut cutter. It was never intended to be a graphics manipulation program, and therefore, was not coded to do this optimally. If the developer knew where MTC would be heading, he would have probably done things differently, hindsight is 20/20 vision. We do have many things on the Wishlist...keeping fingers crossed that we see some of them added, fixed, implemented, soon! @Liz_A , could we ask @Andy to make it possible to lock the position of one item so that when we use the alignment feature it uses the locked item as an anchor? This would be preferable to all the items aligning up to a centre point of the objects! @Di-lite - definitely anything on the list would be viewed by Andy, but if or when he plans to add anything to Make The Cut! is a huge unknown. It hasn't been updated other than one minor bug fix, since March of 2013.